There is a quiet revolution happening in Britain. People are buying sewing machines, going to needlework classes and making their own clothes again. Our passion for sewing, it seems, is back. In this new series, presented by Claudia Winkleman, eight of the nation's most talented amateur sewers compete in a bit to be named Britain's best home sewer. 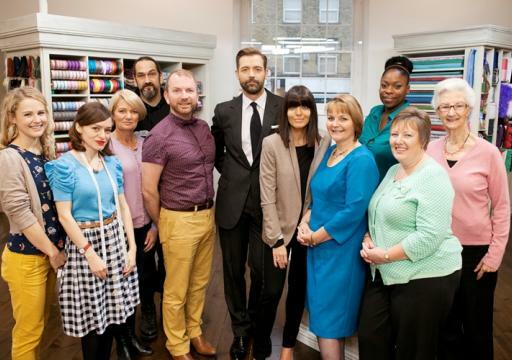 The judges, Savile Row's Patrick Grant and sewing teacher May Martin - put the sewers through their paces. Each week they test the sewers' ability to follow a pattern - for everything from a simple A-line skirt to a complicated man's shirt. They challenge them to transform a high street buy under intense time pressure, and finally, the sewers are asked to produce made-to-measure garments - from tailored jackets to stunning evening gowns - which must be a perfect fit.